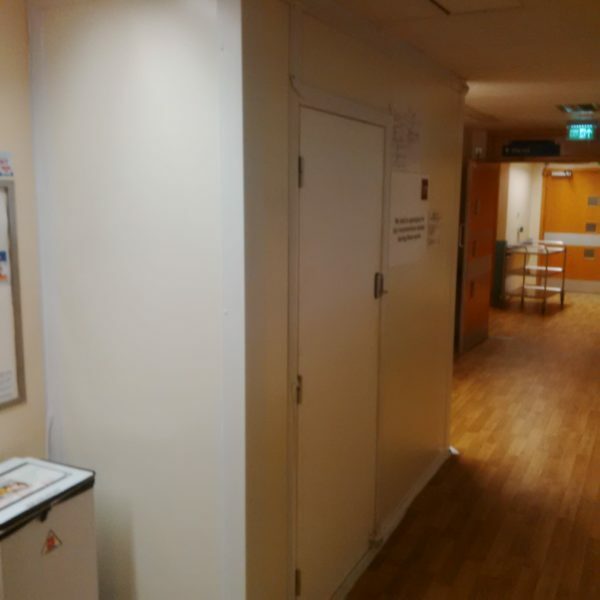 Westgate have worked extensively within the healthcare sector helping hospitals to achieve infection prevention during refurbishments and construction works. 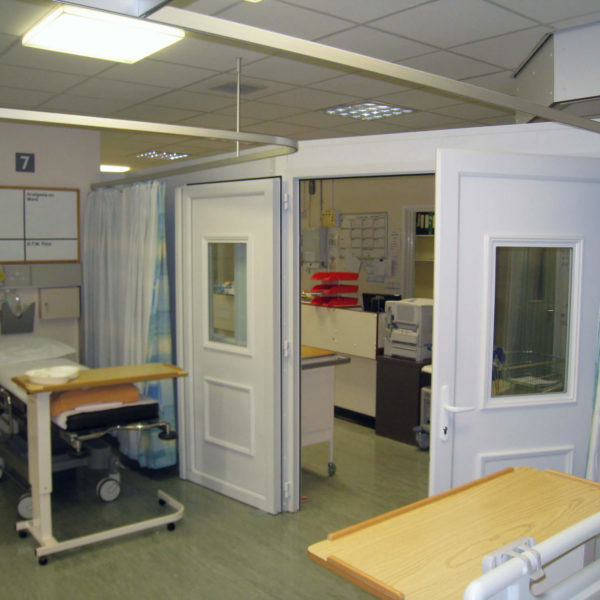 Hoardfast our market leading temporary internal screening system provides a hygienic dust tight seal from construction and is available in standard PVC, steel faced 1-hour fire rated or, steel faced sound reducing. 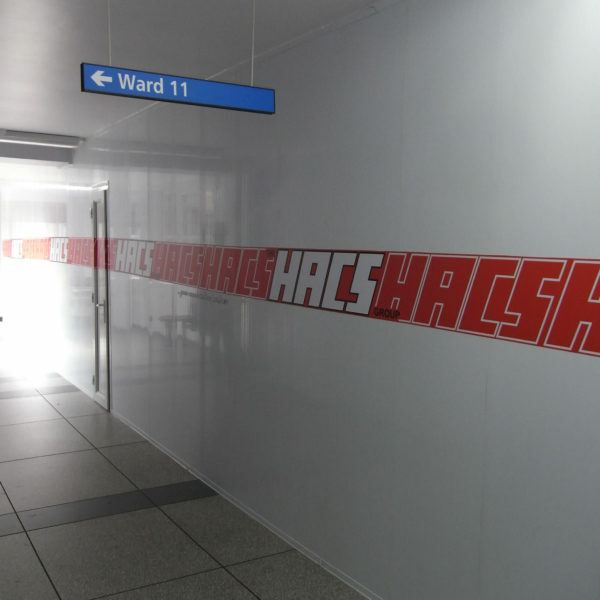 Hoardfast PVC – temporary modular system available in a range of heights up to 5m. A tongue and grove system creates a dust tight seal between panels, while u-channels floor and ceiling enable full height installation. This light weight quick to install screening system offers class 1 fire rating. Hoardfast Firescreen – modular 60-minute fire retardant panel designed to create a floor-to-ceiling fire break during construction and project work. 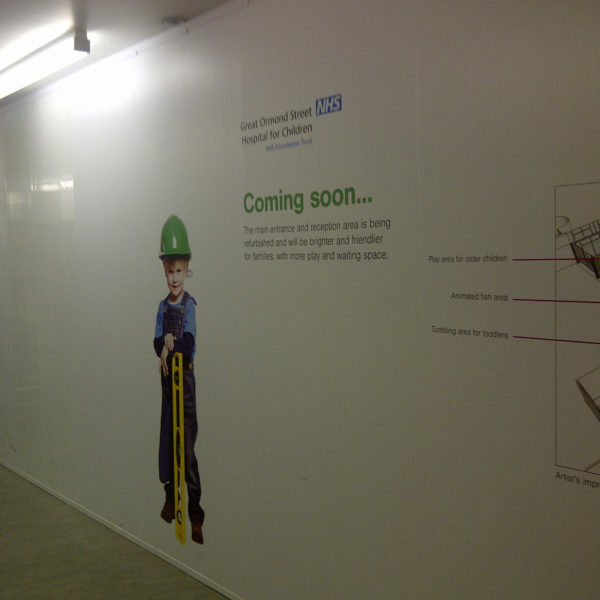 Tongue and grove design and u-channel floor and ceiling fixings provide a dust tight seal to prevent spread of dust. Hoardfast Soundscreen – an internal modular steel faced system made capable of reducing noise by an average of 34db (depending on the frequency of noise). Tongue and groove design and u-channel floor and ceiling fixings provide a dust tight seal to prevent the spread of dust.